ASIC’s recent call to financial statement preparers to focus on useful and meaningful financial reports included an emphasis on the appropriate disclosure of impairment of assets, and one mid-tier is warning that accountants should take note of the increased scrutiny as the regulator gears up for spot checks. ASIC recently announced its focus areas for 31 December 2016 financial reports of listed entities and other entities of public interest with many stakeholders, highlighting a number of key areas. These include asset values, accounting policy choices, material disclosures, the role of directors, enhanced audit reports and client monies. “As in previous reporting periods, directors and auditors should focus on values of assets and accounting policy choices,” ASIC commissioner John Price said. 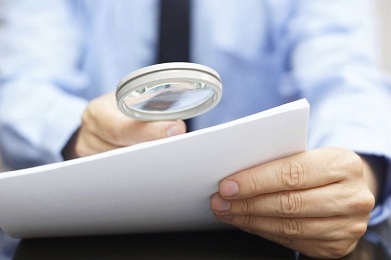 ASIC also warned that a number of financial reports will be reviewed, both on risk-based criteria and at random, under ASIC's financial reporting surveillance program. RSM’s national technical director Ralph Martin said the key focus areas have been identified through ASIC’s surveillance activities, with around 50 per cent of the findings relating to impairment of assets. “While the areas of ASIC’s concern may seem similar to previous ASIC media releases, preparers need to look through the headline and into the detail of what ASIC is finding in their surveillance activities,” Mr Martin said. Mr Martin said new accounting standards are also impacting ASIC’s expectations. “Similarly, on the impact of the three major new accounting standards which [will] impact over the next few years – on revenue, financial instruments and leases, ASIC is now expecting to see a genuine assessment, rather than just a boilerplate disclosure stating that the impact has not yet been assessed,” he said.